300 Flavorful Recipes to Spice Up Your Mealtimes! An American tradition since the 1800s, Tex-Mex food combines the flavors of a wide variety of ingredients with the influence of different cultures to create unique dishes that are crafted to perfection. Tomatoes, beef, beans, chiles, and corn are the staples of Tex-Mex cooking, while flavor, texture, and personality are added with specialties such as hot sauce, chorizo, and spices such as chili pepper and cayenne pepper. Packed with 300 not-quite-south-of-the-border recipes, The Everything Tex-Mex Cookbook brings these authentic flavors to your very own kitchen. 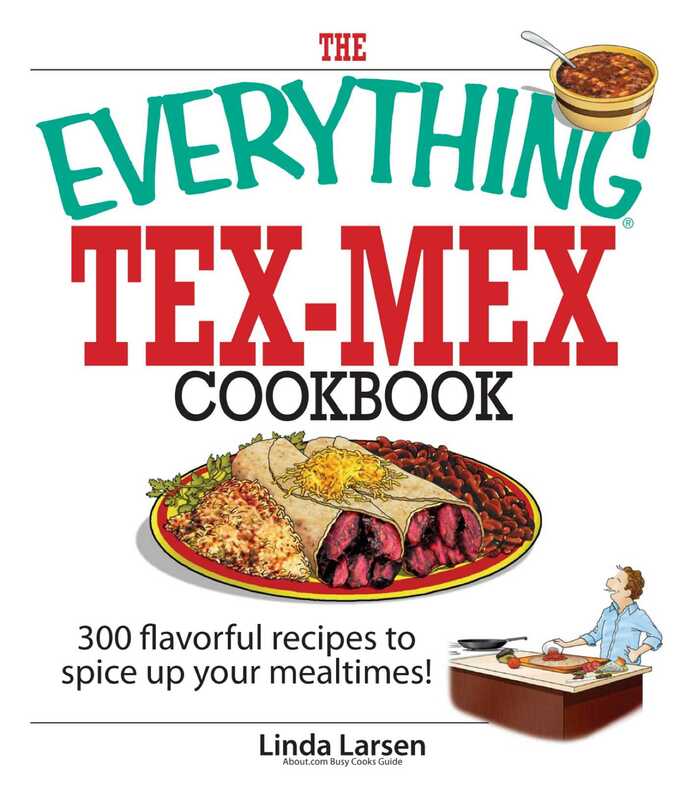 Whether you’re looking for a quick party appetizer, dinner for your family, or drinks and dessert, The Everything Tex-Mex Cookbook has everything you need to add some color and spice to your daily menus!